I have encountered a problem. 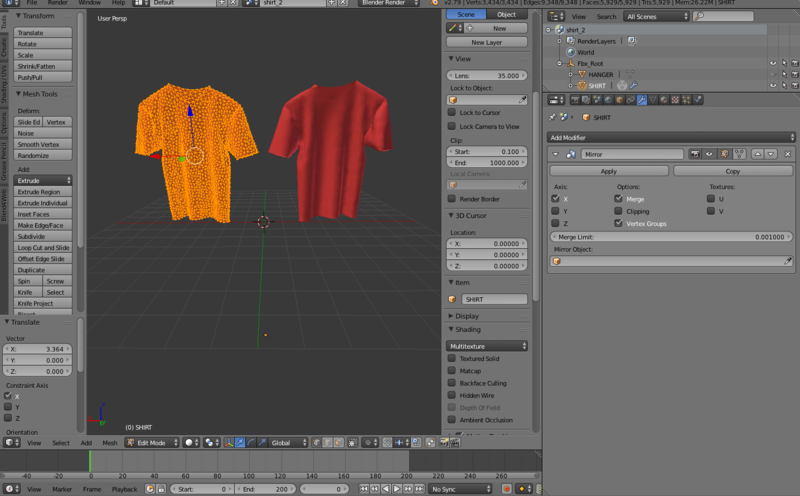 When I add the mirror modifier to my object, it does not mirror correctly as the mirror object is distorted (the sleeves of the shirt have been swapped) and therefore it does not fit correctly. You can see the mirror object on the right has randomly swap the sleeves of the shirt, and so when putting them back together, it just gonna look wrong. Is there any way to solve this problem?? I'm super new to Blender so it may just be a dumb question. Thank you guys in advance! I am not entirely sure why you would use a Mirror modifier there. The mesh is not mirrored so you can't "put them back together". 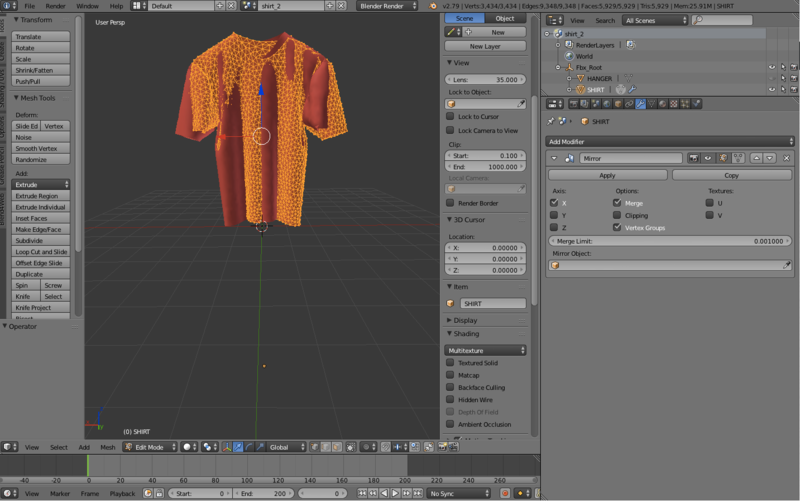 When working with a Mirror modifier you only create one half of the shirt and use the Mirror modifier then to generate the other half. You created a whole t-shirt and mirrored it. Why would you even want to apply the Mirror modifier now? If you want to get a perfectly symmetrical shirt you have to do that from the beginning by creating only a half of it. If you are trying to create a symmetrical shirt. You can do. 1: Model only half of your shirt and use the mirror modifier. 2: Edit Mode > Select All > Go to Mesh Menu > Symmetrize. Since you have your shirt already modeled you can prolly just do #2. Not the answer you're looking for? Browse other questions tagged blender-render blend-files blend4web blend-modes blender-id or ask your own question.